My closet is a constant battleground… and I’m always losing. Between clothes I wear, clothes I don’t wear but refuse to let go of (I know, I know), and storage of other random crap, it’s almost impossible to find anything in there. This year I’m trying to get a handle on the mess. I may not ever win the war, but I want to at least put up a fight. Here are some of the best ideas I found. Let me know if you try any of them! Maybe I can send you some of my crap to store. Click the image to go to the source. Use a soda tab to hook hangers together. 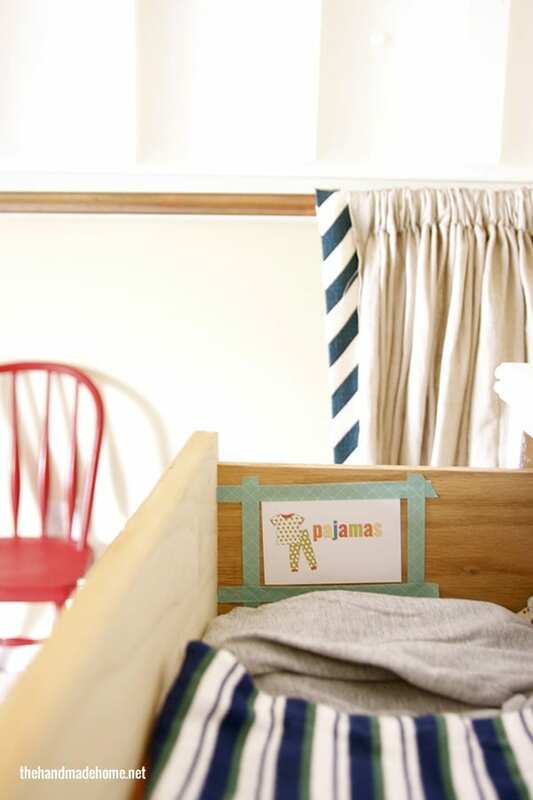 Arrange accessories on a clothing line with clothes pins. 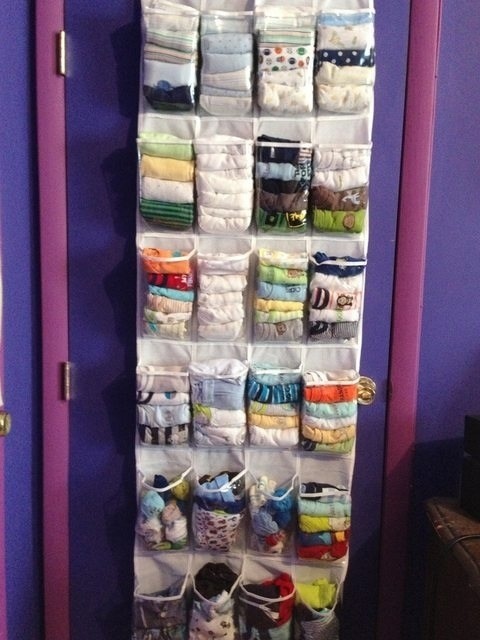 Or just use shower curtain hangers! 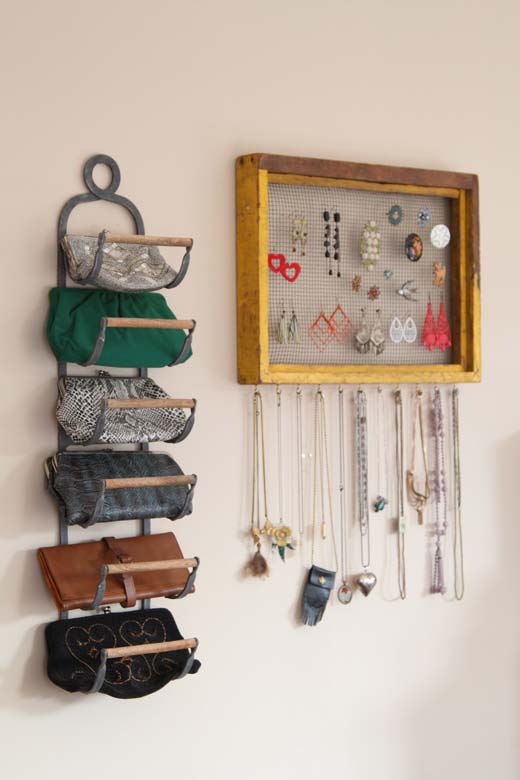 Use a wine rack to organize purses. A shoe rack can hold a lot more than shoes. 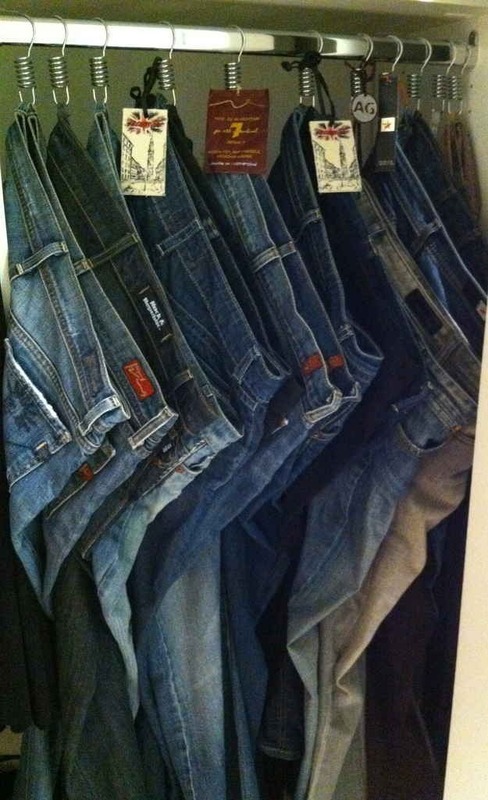 Use shower curtain hangers to organize jeans. Label drawers so anyone can help put away clothes.